When officials in this country need to raise money their lack of imagination means they seldom look beyond the option of hitting the squeezed middle. Despite workers still paying bust-era income taxes, pay rises being muted, consumer confidence fragile, costs of many household goods and services rising, and this country being one of the most expensive in Europe, it seems the ordinary Joes and Josephines are again being lined up to have their pockets picked. The latest cack-handed proposal is that workers pay more PRSI (pay related social insurance) to fund welfare dependency in this county. Some two million people are the beneficiaries of social welfare payments in this State, prompting some to brand us a Welfare Nation. The €20bn in welfare payments – which includes child benefit which my family receives – are paid for by PRSI payments made by 2.5 million workers and their employers. PRSI is a strange beast. It is supposed to be a form of insurance, with workers contributing into a fund, that pays out when you retire, have a baby, get sick or lose your job. But the reality of PRSI is that it is a tax, applied at a rate of 4pc and with no cut-off point when you pay a certain amount of it, as there was until recently. It is one of the reasons the marginal tax rate in this country is 52pc. The marginal rate is the amount of tax you pay once you move out of the 20pc tax band. The amount of income tax and universal social insurance (USC) we pay has only come down a little from the worst years of the bust that saw multiple austerity measures introduced. This means someone on €55,000 is paying about €1,500 more than they were back in 2008 before the economy crashed. Many middle-income families are just about managing. The suggestion that they should have to pony up an extra €250 a year to pay for pensioners and those on the dole will not sit well with this group. Of course vulnerable people like pensioners need to have incomes protected, but welfare payments in this country are relatively generous. And all welfare payments have gone up more than the inflation rate since 2015. Regina Doherty’s Department of Employment Affairs and Social Protection wants to raise an additional €400m from workers, mainly to pay for the fast-expanding numbers receiving pensions. 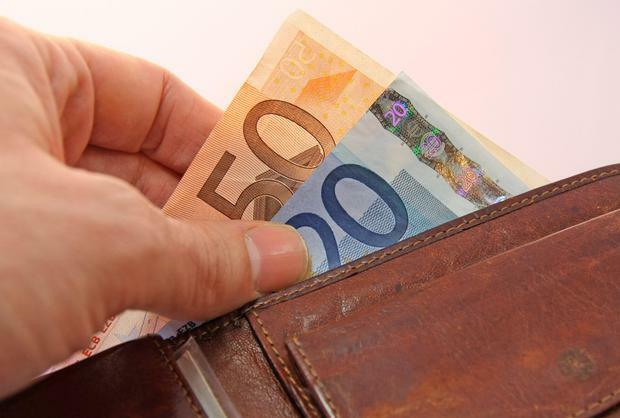 The social welfare budget is under pressure, and it is expected that the Social Insurance Fund, where PRSI payments go, will be in deficit by 2020. Little wonder, as there are 1.3m people in receipt of a weekly social welfare payment in respect of two million beneficiaries. A further 625,300 families receive a monthly child benefit payment for 1.2m children. Of the weekly welfare recipients, 205,560 receive jobseeker’s payments. Some 194,010 get a disability allowance or an invalidity pension, and 79,910 were in receipt of carer’s allowance or benefit. However, the idea that barely-managing workers should pony up more PRSI to support more welfare spending hardly seems fair. Must the Government always come to the same well when there is a problem? It is time the welfare burden was shared more favourably, by hitting employers and extracting more corporate taxes. Ordinary workers are already under too much of a burden.